I tried sticking a bit of coral into the Fimo. After baking I tweaked it to see how strong it was and it came off easily. 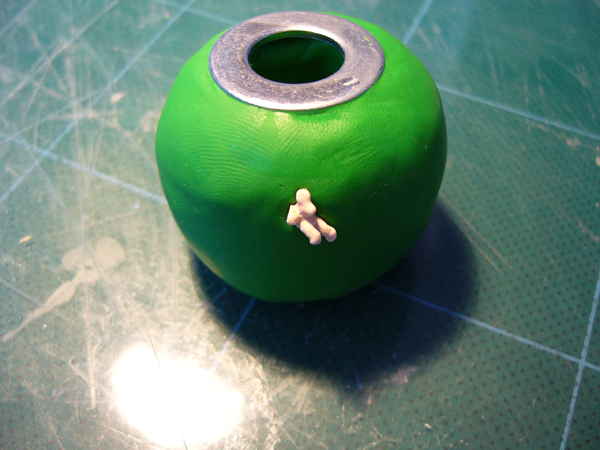 I was able to superglue it back in sucessfully, as the embedded shape was still there. 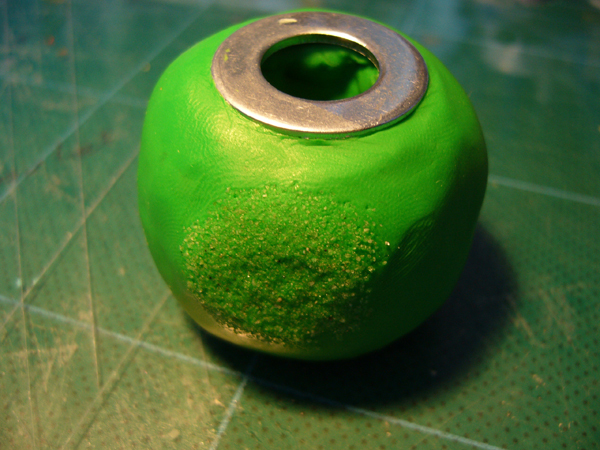 So even if an item is likely to fall out of the Fimo after baking it is still a good idea to bake with it in place and then glue it back in afterwards. Also tried to see how a washer would work. It stayed in place even without gluing and I could not pull it off, I think this is due to the Fimo completely surrounding it. Pic 1 – Coral glued in place, washer in place without glue.